We’re there at the right time and place! Junk Removal and Dumpster Rentals in OKC! 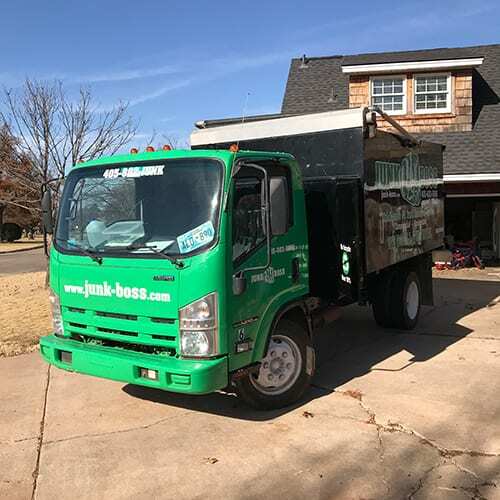 Junk Boss is locally owned and operated out of Edmond, Oklahoma. 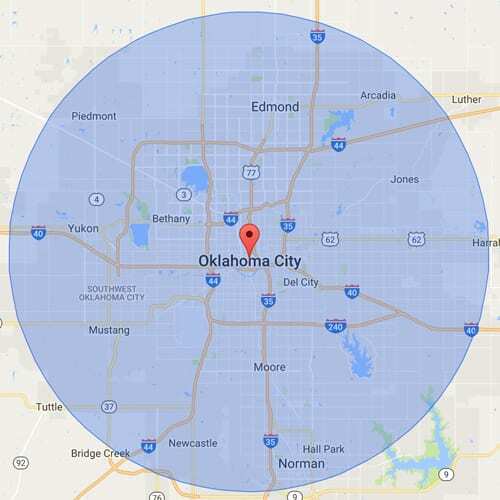 We service a wide area around the Oklahoma City metro. No matter where you’re located, we offer excellent rates for junk removal and dumpster rental services. Furthermore, Junk Boss offers residential and commercial services. Whether you have an office full of cubicles that needs to go or you just have an old mattress or refrigerator laying around, we can help! At Junk Boss we treat our customers as neighbors, because they are! We offer upfront, volume-based pricing with no hidden fees. Even if you don’t see your specific area listed on this page, give us a call for an easy quote over the phone. Our Junk Boss trucks are no strangers to the Oklahoma roads. These are some of the zip codes we frequent the most!